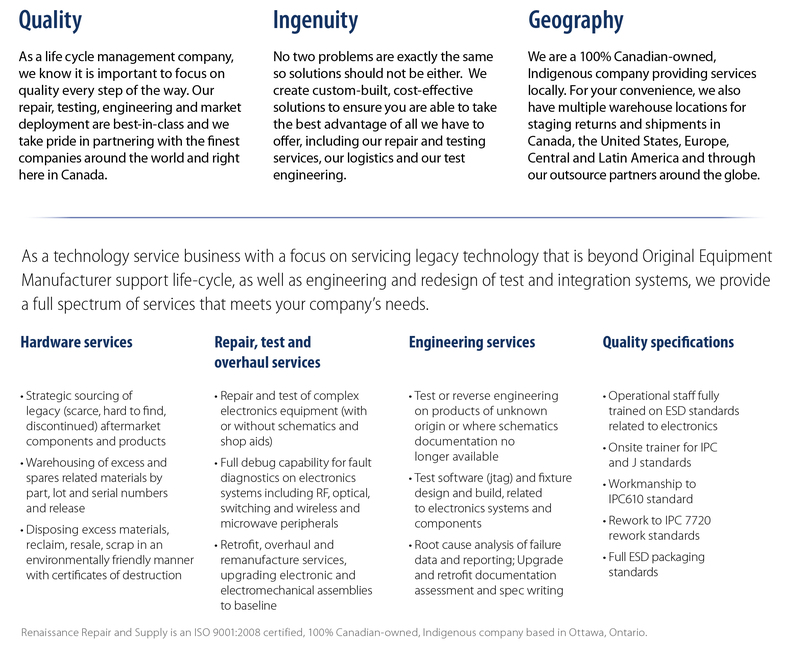 The Terra Nova advantage is clear: we extend the life-cycle of your electronic equipment by providing engineering and repair services, which save you time, money and energy and help you keep your competitive edge. At the same time, we provide benefits to the environment by keeping equipment out of the waste stream. As a trusted partner in delivering best-in-class solutions, we are proud of our tradition of excellence, responding to clients’ needs in a timely and cost-effective manner and producing creative solutions. Our roots are in delivering first rate service to our customers and that is–and always will be–job one for us.